Topics: how we hear (interactive), hearing loss simulations, hearing aid/cochlear implants, how students with normal hearing and those with hearing loss can interact and develop relationships at school. The first step to facilitating a successful mainstream experience is to understand how hearing impairment affects a child. 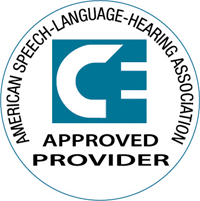 This in-service is designed to teach teachers and staff what they need to know when working or communicating with a student with a hearing loss. Audience: Educational team and all school staff. This in-service provides practical, successful teaching strategies to help you increase opportunities for your student with hearing loss to learn and achieve. Students with hearing impairment don’t always develop speech the way children with normal hearing do. This in-service gives an overview of speech development along with a practical tool to help students improve their speech. Children with hearing loss often have language delays and need intensive and specific language instruction focusing on the grammatical structures of spoken language. This in-service will give your team a practical tool to support that instruction.